To comply with tight budgetary constraints, a pre-engineered metal building was adapted to create this simple, efficient, compact facility. The winery production areas occupy the lower level and include a large earth-sheltered barrel room. 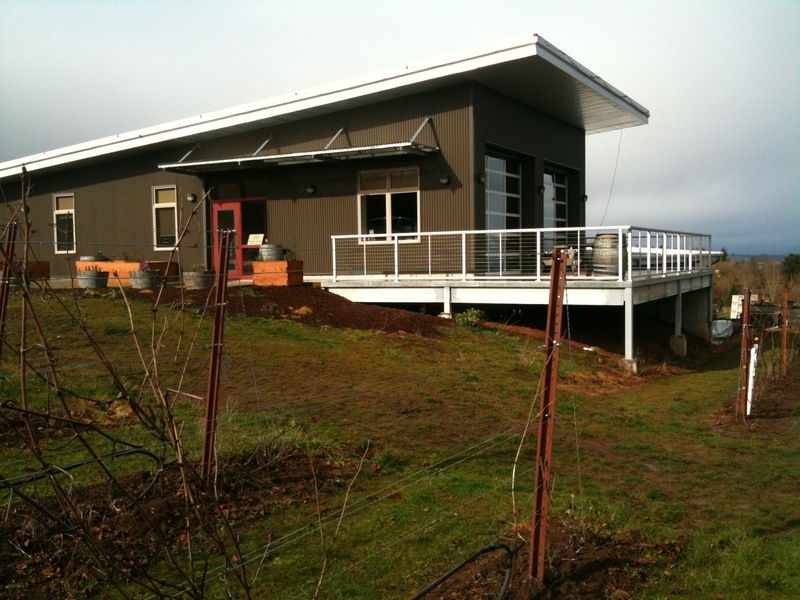 Directly above the barrel room are a tasting room, commercial kitchen and administrative offices. 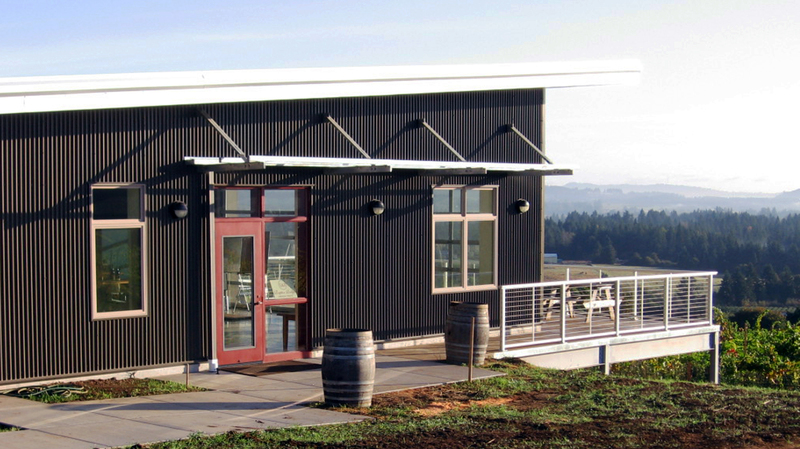 The tasting room opens directly to a terrace with an expansive view of the vineyard below and Mt.Hood in the distance.